Last Atomic of 2017 – see you there! This date now confirmed. See you there! 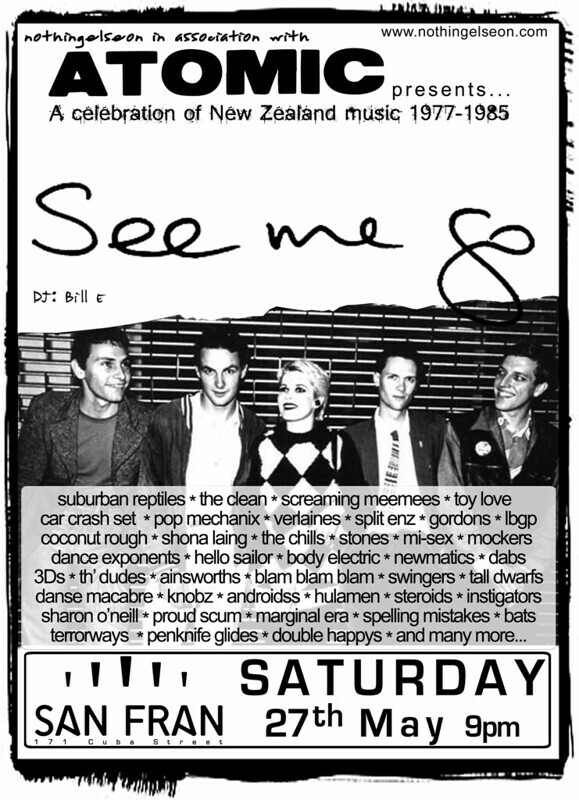 Next up in the nothingelseon schedule is a special one off event: See Me Go, a celebration of New Zealand music 1977-1985. A night of all New Zealand music, all on vinyl. 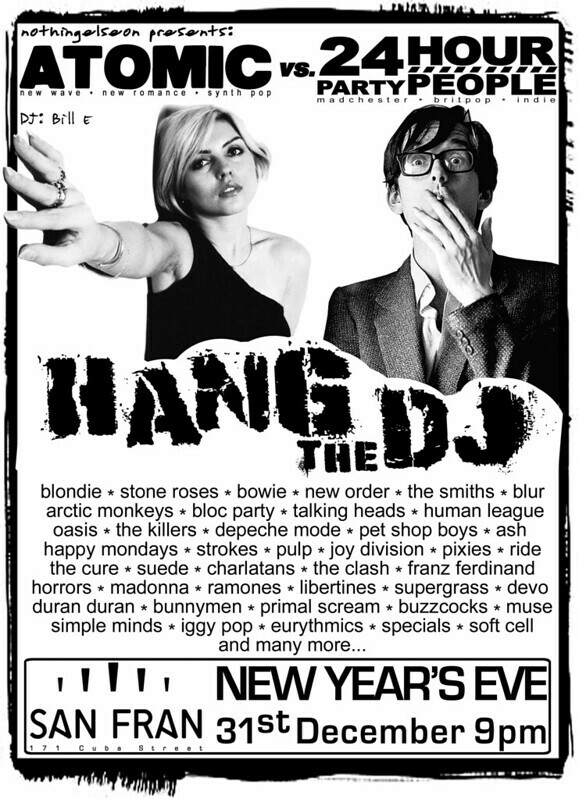 DJ Bill E brings his usual taste for a great tune for a full night of NZ goodness. 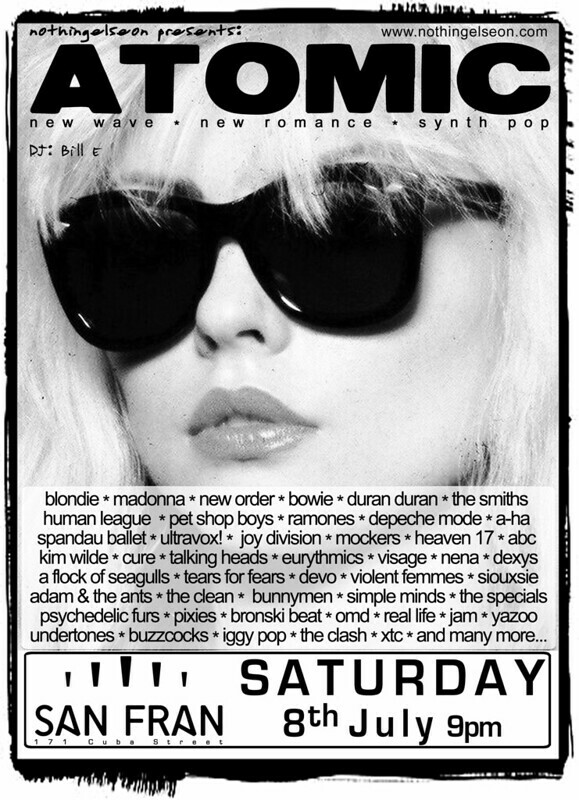 From the snake hipped swagger of Hello Sailor and Th’ Dudes, through the raucous energy of Suburban Reptiles and The Terrorways, and a slew of great tunes from labels such as Propeller, Ripper, Reaction, Bunk and Flying Nun. From low fi DIY to synth laden pop, come and celebrate an amazingly creative period in New Zealand music. I was on Jesse Mulligan’s afternoon show on Radio New Zealand the other day, talking about post punk and playing a few tracks. 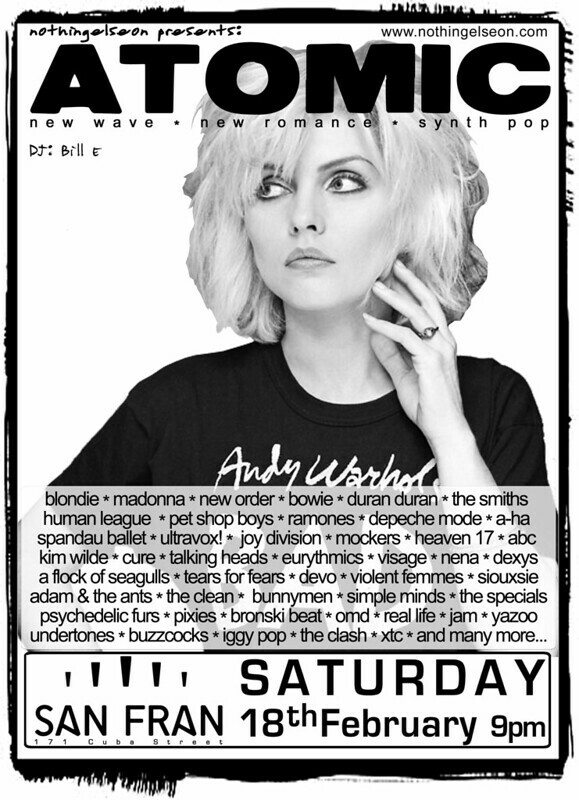 Here’s the setlist from Saturday night.